Vietnam’s economy continues to grow and expanding at an average of 6.0%+ with all sectors attracting strong foreign direct investment especially manufacturing exports. Vietnam has entered into a number of free trade agreements (FTAs) as well as the prospects offered by the Trans-Pacific Partnership (TPP) will serve to keep Vietnam’s economic growth momentum driving forward as well as an attractive destination for FDI in the medium to long term and will strongly enhance the manufacturing sector further. However, Vietnam being one of the key manufacturing beneficiary under TPP, with hopes for finalisation to significantly boost overall GDP were quickly dashed by the new US administration retreat from TPP, and is anticipated to create a sizeable negative impact upon country. 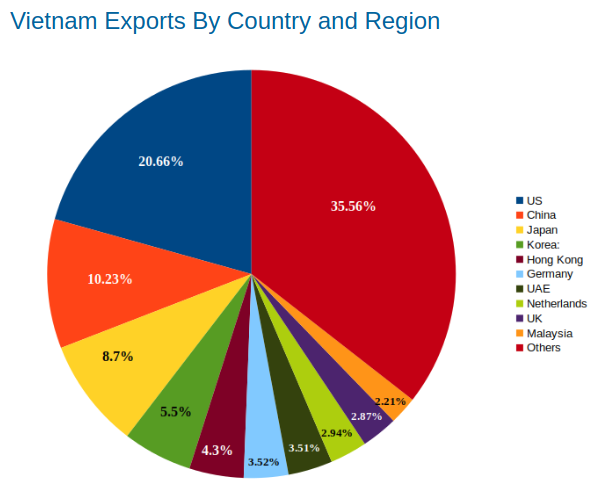 The above represent growth numbers that exceeds many territories with Vietnam becoming a major hub for manufacturing. Global manufacturing companies have set up production facilities in Vietnam, and inflow of foreign direct investment (FDI) remain strong. Vietnam is benefiting from the China + 1 policy as companies seek hedging against geopolitical issues of having “all the eggs in one basket”. However, there are many macro challenges to sustainable growth. Whilst investors in the manufacturing sector have boosted exports, there has also been major in importations. This continues to be a sign that domestic satellite industries remain weak and are often reliance upon valued added components to support production of exported goods. Due to this, Vietnam have again returned to a trade deficit situation. Economists are also expressing concerns upon Vietnam’s heavy dependence on FDI which accounted for 71 percent of total export turnover and 59 percent of total import turnover in 2015. Vietnam’s domestic SMEs continues to lag strongly behind their FDI counterparts in the “value added” growth story due management, technical and industrial capability and capacity. Last but not least, rampant corruption as judged by ongoing high profile cases, coupled with an opaque laws and regulations hamper the overall business environment. 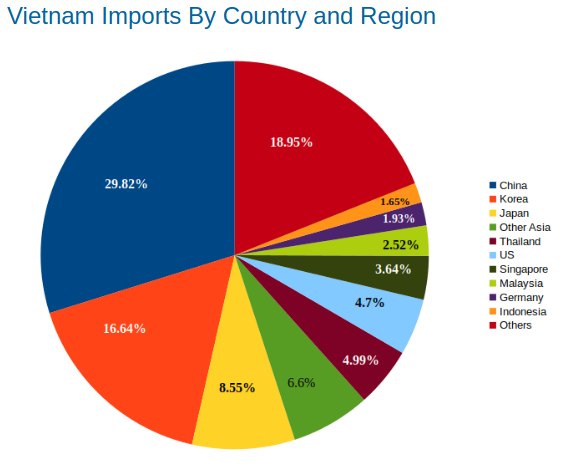 Vietnam’s key export products all saw year-on-year increases, ranging from mobile, telephone and accessories, garments and textiles, machineries equipment, tools, spare parts, seafood and agricultural produce. Total export for 2016 was circa. USD 180 Billion. IV. - What are the main risks? The Vietnam insurance market has only five non-life insurance companies offering credit insurance namely AIG, QBE, Atradius, Coface, Euler Hermes with the latter three via appointed local underwriting partners due to Vietnam having local admitted policy regulations in place. Many of these underwriters remain keen to write both export and domestic credit, however, development of awareness and resultant take-up rate has been an uphill “struggle”. Official entry into the Ministry of Finance, Insurance Department for Credit & Financial Risks for 2016 shows net written premium remain significantly low at circa USD1m. This figure may not include global accounts where premiums are not debited locally. We do, however, believe the figures are growing on global accounts and overseas placements in Singapore, Hong Kong and in Europe. Loca loss ratio for the class, in the same entry, also shows an amount of circa. 19%. With such low penetration levels, Vietnam’s insurance industry in general and credit insurance in particular, still represent massive opportunities for growth. An example in point is that the Insurance Regulators hope, as a development strategy, for the Vietnam insurance market, during the period from 2011 to 2020, for total premiums to account between 2% to 3% of Vietnam’s GDP by 2015 and 3% to 4% of the GDP by 2020. AEGIS remain positive on the long term outlook for credit insurance in Vietnam and we remain committed to be a key player and pioneer in the development of this product in the country. With low rates of penetration coupled with the country being a major export hub now and going forward we believe there will come a point where the commercial sector and exporters will see the significant benefits offered by credit insurance and its associated trade credit facilitation and services. We have always been at the forefront of product innovation, introduction and delivery in our marketplace and we stand ready to offer, hold-hands with our customers, and help them navigate through the understanding and value that credit risk management and insurance brings to their business now and the future. We also work extremely closely with Astreos Credit in the execution of above value added services and we are eager to offer global clients and prospect advisory in this space where their business may take them to Vietnam, Myanmar and the SE East Asia region.